Q: When did you get your American citizenship? A: About two years ago. Q: Why did you become a citizen? A: To get an American passport. To be able to vote. I live here. Q: That&apos;s it? A: America is now my second country. My life is here, whether I like it or not. Q: How did you feel when you pledged allegiance to America? A: I wasn&apos;t feeling bad. I was a bit happy. Q: A bit? A: This isn&apos;t my country. I wanted to be in my country, to study there and work over there. Q: When did you leave Iran? A: It was 1984. It was during the war. I didn&apos;t want to go to war. I gave money to someone to go to Turkey. Then I went to Italy. Then I came here. Q: Do you feel you are an American now? A: Not really. I&apos;ll always be an Iranian. Q: What do you think about the future? A: Uncertain. I don&apos;t exactly know. I&apos;ve made some progress here. But not the way I had planned. Q: What were your plans? A: I wanted to finish school as quickly as possible. But it&apos;s difficult financially. Money is everything in this country. Money comes first. Q: Who are your friends? 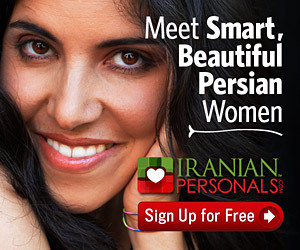 A: They&apos;re mostly Iranian. Q: Why not more Americans? A: I don&apos;t get the things I expect from a friend from an American. It&apos;s hard for me to adjust to them culturally. Q: What&apos;s different about them? A: Things like doing favors for each other. Americans are generous in their own way. But not like Iranians. Q: Are you comfortable with Americans? A: They&apos;ve been brought up differently. The only things they care about are MTV and making money. Not all of them. But most of them. Q: What about freedom? A: They have political freedom. But they are ignorant about politics. They voted for (Republican New York Governor George) Pataki. Q: Who will you vote for? A: I want to vote for those who care about the middle class and the underprivileged and the immigrants. This country was built by immigrants. Q: Do you think you&apos;ll stay here permanently? A: I don&apos;t want to. But I think I will be here the rest of my life.